The last time Didier Deschamps led his country at a major finals on home soil, the Frenchman finished the tournament hoisting aloft the World Cup inside the Stade de France. 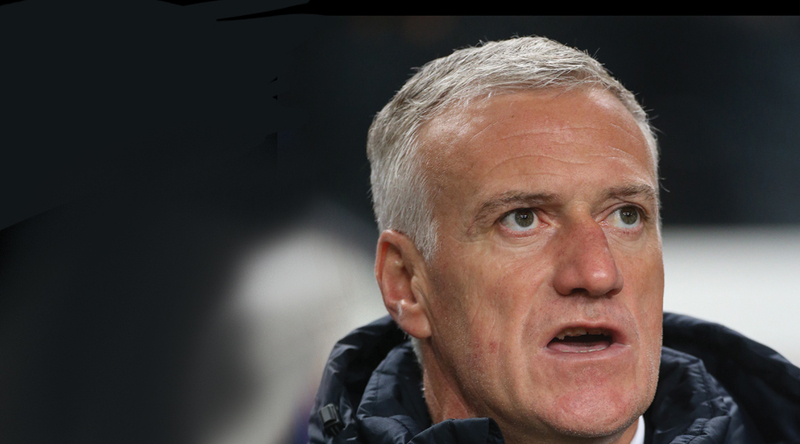 As captain of the French side of 1998, Deschamps helped make history alongside the likes of Zinedine Zidane, Fabien Barthez and Marcel Desailly. Now he returns to the scene of such ecstasy as head coach. With such special St Denis memories dampened by last November’s terrorist attacks on Paris that will inevitably play on the minds of supporters, emotions will be running high for the French side. Karim Benzema, the prolific Real Madrid forward, has already been told he is not welcome in the France set-up as he continues to be investigated for his part in an alleged plot to blackmail international teammate Mathieu Valbuena. Meanwhile, Franck Ribery, the Bayern Munich winger who retired after the 2014 World Cup, continues to ponder whether he is willing to return to the fold. Yet a new promising generation of talents complementing the more experienced figures of Hugo Lloris, Laurent Koscielny and Morgan Schneiderlin have the ability to bring joie de vivre back to Les Bleus without the need for Benzema or Ribery. Paul Pogba, the 23-year-old Juventus midfielder already being spoken of as the player most likely to break the world transfer record, is a phenomenal athlete in the mould of Patrick Vieira but with the deft touches, sublime skills and eye for goal of Zidane. Striker Anthony Martial is fast with two good feet, both of which have remained firmly on the ground despite Manchester United spending £36 million last summer on a 19-year-old who had made just a handful of games for Monaco. 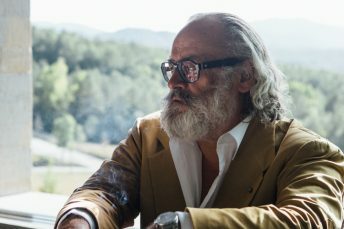 And in Anthony Griezmann, Alexandre Lacazette and Raphael Varane, they have three players on the cusp of entering the bracket of best in the world. Add to that late bloomers in the form of Dimitri Payet of West Ham and N’Golo Kante of Leicester City and France have potential. “We must remain humble, but we have the ambition to go as far as possible,” said Deschamps, who knows he has all the ingredients to finish the summer lifting a trophy in the Stade de France once again. Gareth Bale was drawing comparisons to Ryan Giggs long before he started turning in match-winning performances for Wales. Having netted seven time on route to helping his country qualify for their first major finals since the 1958 World Cup, it is hard to argue the Real Madrid winger has not become an even greater influence on his national team than his mentor ever was. It will be fascinating to see the former Tottenham Hotspur game-changer perform in the international limelight and in Wales’ second group match, he will come up against plenty of familiar faces in the form of England. Hodgson’s squad is almost certain to be impressively youthful, with the likes of Harry Kane, Ross Barkley and Eric Dier (all 22) being complemented by Raheem Sterling (21), John Stones (21) and Dele Alli (20). England, with their array of Premier League talents, will enter the match as favourites, but in Bale Wales have the world’s most expensive footballer. 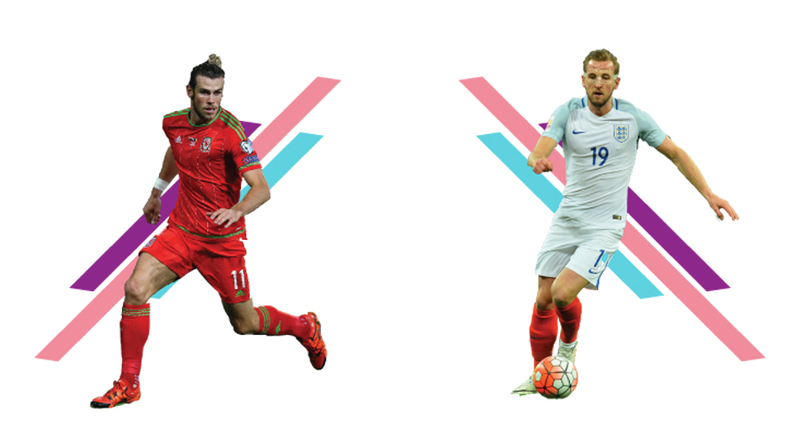 It promises to be one of the most anticipated matches of the group stages – and the fact Bale, whose grandmother was born in England, could have represented the Three Lions rather than the Welsh Dragons is sure to be mentioned more than once in the build-up. 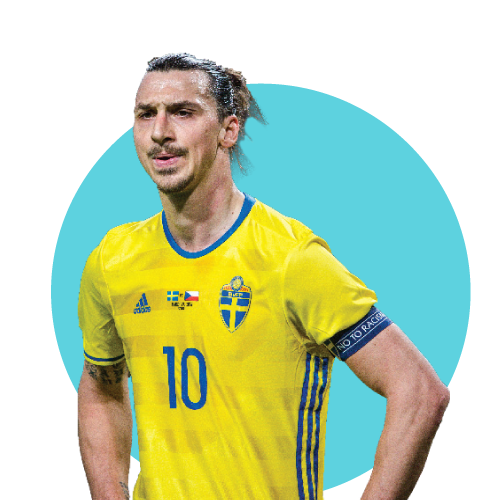 Long regarded as one of the finest players of the 21st century, the Swedish striker has netted 62 times in 112 internationals. Ibra has won titles at every club he has played yet never achieved anything of great note with his country. 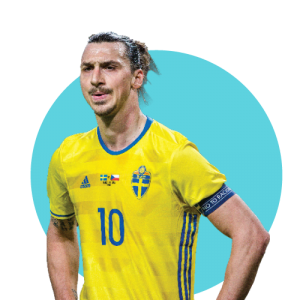 He will be out to right that wrong, but with Sweden having fallen at the first hurdle at the past two European Championships, it is a big – and unlikely – task. 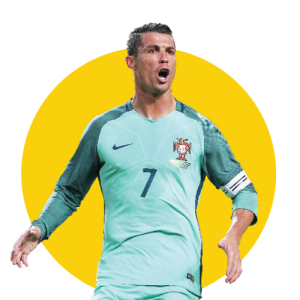 The Portuguese forward has won everything possible at domestic level, but when it comes to international achievements, the three-time Ballon d’Or recipient has failed to drag his country over the line. He helped steer his side to the final at Euro 2004, but then lost to Greece and, now aged 31, this summer likely represents the Real Madrid man’s last chance to win the continental title. 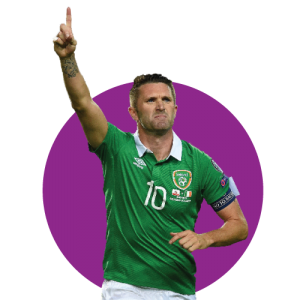 Thirty-five year-old Keane has been the Republic of Ireland’s talisman for much of the past two decades. 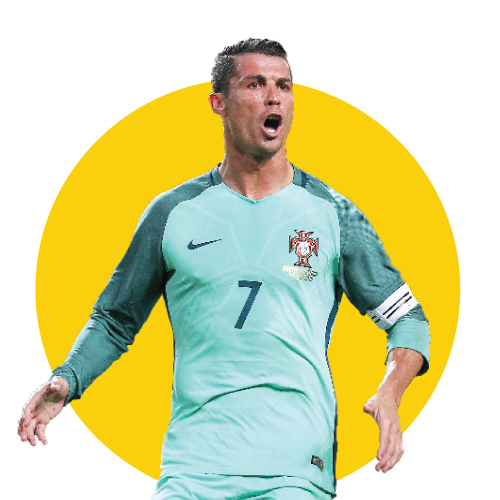 His tally of 67 goals is 46 more than his country’s second-highest goalscorer, Niall Quinn. With a niggling knee injury, his time might be limited in France this summer, but he will be keen to play his part – and Martin O’Neill’s side will be keen to ensure he is involved for what is sure to be his last major tournament. The winners of this summer’s showpiece will not only claim continental bragging rights, but also book their place in the 2017 Fifa Confederation Cup. Russia and Germany have already qualified as hosts and World Cup winners respectively, so should they win, their fellow finalists will claim the European slot at next summer’s tournament. Asian champions Australia, Copa America winners Chile and Concacaf cup winners Mexico have already secured their places, while Oceania and Africa are yet to crown their kings. 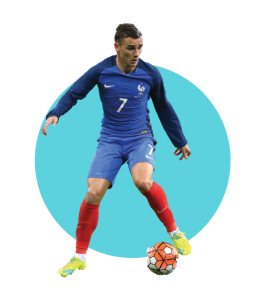 Coming off the back of a highly productive season with Atletico Madrid and about to represent France in front of a passionate home crowd, the 25-year-old Griezmann is perfectly positioned to finish the tournament as a bona-fide superstar. The striker has already dropped jaws with some of his goals over the past few seasons – none more so than the brace in this year’s Champions League quarterfinal that eliminated Barcelona. Don’t be surprised if he finishes the summer as the world’s most coveted striker. It’s hard to believe Alli was relegated to the fourth tier of English football only 12 months ago. Since leaving Leyton Orient for Tottenham Hotspur last summer, the talented midfielder has immediately proved himself to be one of the best in the top-flight. Starting the season aged just 19, Alli made his debut against Manchester United and scored against Leicester in his second appearance. He has since gone on to play for England, scoring a rocket against France on his debut, and deservedly picking up the Young Player of the Year Award. With every passing day, Chelsea’s decision to sell Lukaku looks more foolish. The strapping Belgian striker – still only 22 years old – had his most prolific season to date with Everton and is likely to lead the line for the Red Devils, despite their embarrassment of riches in attack. 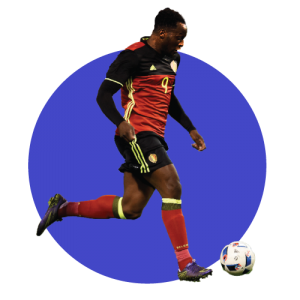 Divock Origi, Christian Benteke and Michy Batshuayi will all be vying for a place in the forward line, but this should be the tournament where Belgium finally realise their potential and Lukaku will be critical. Chelsea, who also let Belgian teammate Kevin De Bruyne leave, will watch on ruefully. 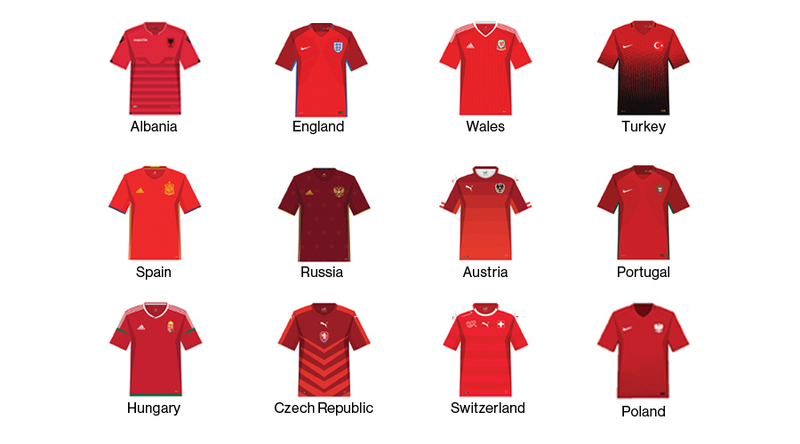 • The 24 national teams will share a total of €301 million compared to the €196 million distributed at Euro 2012. • All 24 teams will receive a participating fee of €8 million. • During the group phase, teams will be rewarded €1 million for a win and €500,000 for a draw. 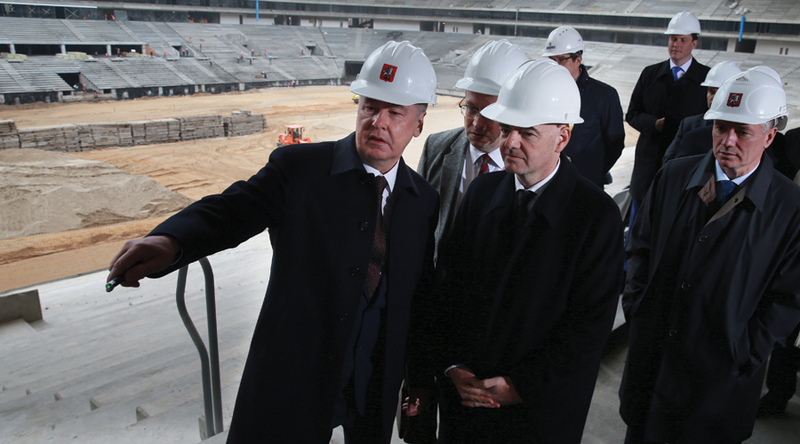 • The eight quarter-finalists will receive an additional €2.5 million. • The losing finalist will receive €5 million. • The winner of Euro 2016 will receive anadditional €8 million. • If the winners have won all three group matches, the total prize money they stand to earn is €27 million, compared with €23.5 million in 2012. 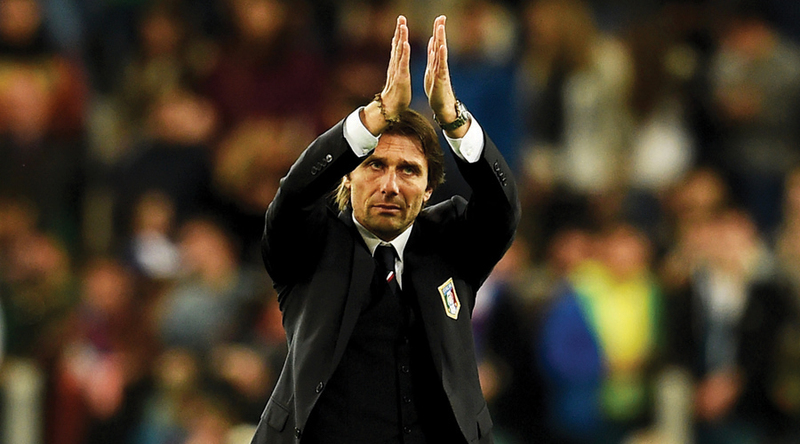 Antonio Conte has never lost a competitive match while coach of Italy. 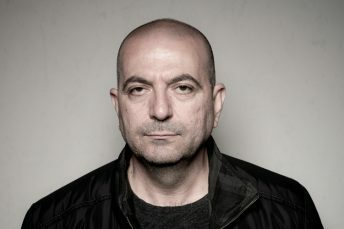 The former central midfielder led Juventus to three successive titles as manager before replacing Cesare Prandelli at the helm of the national team in summer 2014. He has since overseen 18 games, winning nine and drawing six, with his three defeats all coming in friendlies. The suave tactician has already confirmed he will be taking the reins at Chelsea after Euro 2016 so whether he succeeds in France will not affect his next career move. That said, victory in Paris would see him arrive in London enveloped in the indomitableness that his predecessor Jose Mourinho once enjoyed. An embarrassing exit on the other hand would immediately ramp up the pressure on him – and his new club’s notoriously fickle owner Roman Abramovich. It is no surprise athletes often suffer restless evenings in the build-up to the start of a major tournament. 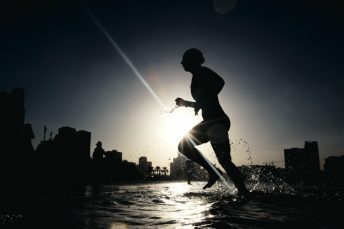 Yet at this month’s European Championships in France, a sleepless night will be all but inevitable for some, given the competition coincides with the fasting obligations associated with Ramadan. 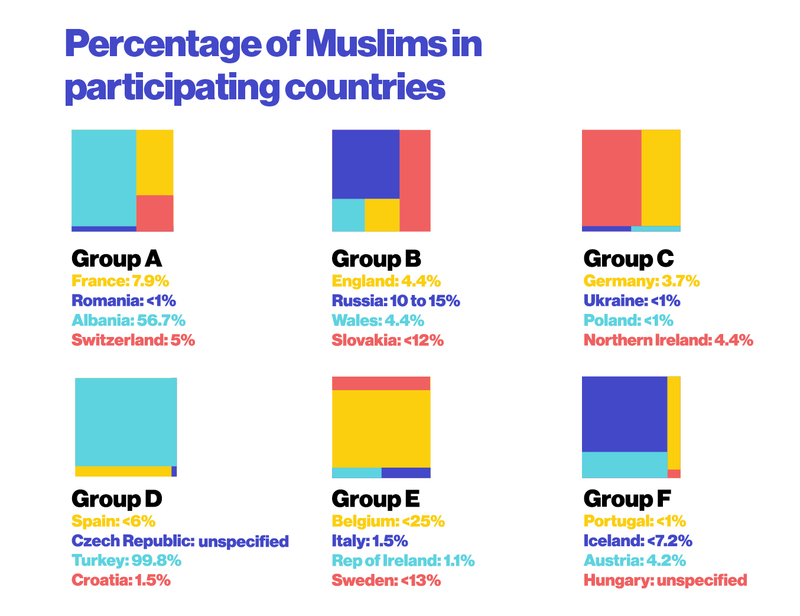 The Islamic Holy Month is expected to commence on June 6, four days before the start of European football’s four-week contest to crown the continent’s new kings. Balancing professional preparations with religious obligations is nothing new to Muslim footballers, but it requires them to make a decision based on faith: fast now or postpone until later? While some players will elect to observe their duties throughout the month, including on match days, Islam allows for exceptions, be it for health reasons or for those who are travelling. Should players decide to respect their obligations during Ramadan, factors that will require close monitoring include rehydration and avoiding nutritional and energy deficiency, according to a medical research paper published in 2013 by Aspetar, the Qatar Orthopaedic And Sports Medicine Hospital. The easier option would undoubtedly be for footballers to defer their religious commitments until their professional commitments are complete. The Quran allows for such an approach and at the London Olympics in 2012, the UAE football team was granted an exemption by the country’s highest religious body. A high-intensity, four-week tournament such as a World Cup or European Championships provides a challenge to players and medical staff alike. Were Ramadan to fall during the regular football season, coaches and medical teams could monitor it better because clubs tend to play only once per week, allowing for fasting for four or five days. At a big tournament though, not only are the games scheduled closer together, but the matches might go to extra time and penalties. “If you are at a Premier League team with a couple of Muslim players, the coach might say, ‘OK, let’s give these players a rest for these few games and we will use them more later in the season.’ But in a knock-out tournament you need your best players for every game,” says Nick Worth, a sports physiotherapist who has spent the majority of his career working in the English Premier League. Pressure on Muslim players to forego their faith for the benefit of their team has been documented in the past. In 2009, Inter Milan coach Jose Mourinho substituted Sulley Muntari after only half an hour saying the Ghanaian Muslim “had some problems related to Ramadan”. Understanding and tolerance in Europe has improved a lot in recent years, says Worth, who worked with Oman goalkeeper Ali Al Habsi while at Bolton and Wigan. It was, however, during three years as a medical director with Al Jazira in Abu Dhabi that he observed the benefits Muslim players in the Middle East experience when fasting. With temptations removed by day and training rescheduled until night, the players are able to rest during daylight, take iftar at sunset and train from 11pm until 1am or 2am, before replenishing fluids and energy levels in a monitored environment. The likes of Belgium trio Mousa Dembele, Adnan Januzaj and Marouane Fellaini, should they elect to fast during Ramadan, will likely take several smaller meals throughout the night rather than one large meal. 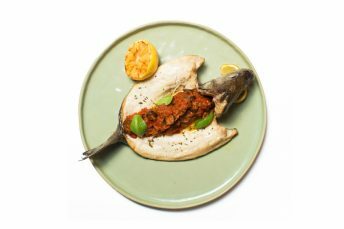 Breakfast cereals, as well as a balanced meal of chicken, potatoes and vegetables, would likely figure on the Muslim players’ menus; foods that will be easily absorbed and provide energy throughout the day. 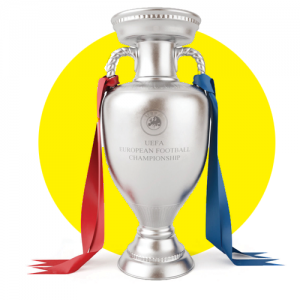 With Eid Al Fitr expected to coincide with the second semi-final at the European Championships, should any team featuring Muslim players reach the final, the fasting period will already be finished – meaning any footballer enduring a sleepless night on the evening of July 9 will likely be suffering from nothing more than good old-fashioned athlete anxiety.